Is it an accident or a crash? Who is to blame when your teen wrecks a car? Many people in the auto safety industry refuse to call wrecks accidents. That is because an accident implies that no one was at fault. That everything just happened and the drivers involved could not have stopped the collision no matter what they did. Typically that isn’t the case. Even when vehicle failure causes a crash a lack of maintenance on the driver’s fault is the actual cause. Instead, we call wrecks crashes. It is more accurate as it doesn’t assume that no fault can be assigned. Now that the word accident is out of your teen driving vocabulary, who is at fault when your teen crashes? Let’s look at the case of Brandon Hodges of Jacksonville Florida. He was driving a Ford Explorer with nine people in it when a tire blew out. He was unable to control the car and it flipped. Only Hodges was wearing a seat belt and four teens were tragically killed in the crash. 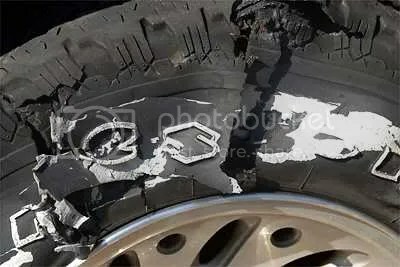 But is Brandon taking the fall for the tire company, or is the tire company taking the fall for Brandon? Brandon was fifteen at the time of the crash. He didn’t have a license and was allowed to drive. He was driving a car with more passengers than seat belts (not that it mattered much since no one was using those belts). He was speeding. But Hodge’s lawyer says none of these things are a factor in the crash, that it is all the fault of Cooper Tire who made the tire. He adds that the case reminds him of the Firestone lawsuit nine years ago. That comment reminds me of a cop out and dollar signs. separation when the tire was underinflated.Yes, the tire was defective, but a driver who properly maintained his/her SUV’s tire pressure was immune to the defect. Fact is tires rarely blow out without reason. Typically they are under inflated, over inflated or bald. Sometimes they hit an object in the road causing damage to them. But even in the case of the Firestone roll over scandal owners were also at fault for the crashes they were involved in. They were not accidents, they were crashes. They were avoidable. Even if the tire on Hodge’s girlfriend’s family’s SUV was defective it doesn’t detract from the fact that he was unlicensed and speeding. Just because a blow out happens doesn’t mean a crash is inevitable as well. Proper driver’s training and experience give people the necessary skills to remain control after a blow out. As an unlicnsed driver, these are two things that Hodges definitely did not possess. Would it have been completely avoidable with a licensed driver? No. People panic and they react poorly in emergency situations. Is there a higher probability that the crash would have been avoided with a licensed driver? Yes. 100%. What message do we send to teens when we blame others for their actions? Teens all across Florida are learning right now that they aren’t at fault when something goes wrong with their car because of the actions of Hodge’s family and lawyer. Hodges did still break the law, regardless of what other factors went into the crash and he should be held responsible for doing so. In our litigious society where everyone sues everyone for everything we are constantly shifting blame. I think we are breeding a generation of people who will feel that they are not responsible for their actions and fail to own up to them or work to resolve them. Should parents be held responsible for the actions of their teens? By holding parents responsible you are shifting the blame away from the teen. Even though that is true, parents can still be held responsible for their teen’s actions and have an effect on what their young drivers do. From a legal perspective you are responsible for what your teen does up until the age of 18. Anything they do wrong behind the wheel can come back to you in the form of one of the lawsuits I mentioned in the last section. I do believe that some crashes are partially caused by negligent parents. Parents control their teens driving. Parents who do not enforce graduated drivers license rules, or who do not take away the keys when their teen is being dangerous on the road have some responsibility in their teen’s actions. Parents need to remember that teen brains have not fully developed and they do not recognize risk the same way adults do. What is stupid and dangerous to us is fun to them. Parents need to watch over their teen drivers and not be afraid to take away the keys if their young drivers are not being safe. Of course, Hodge’s family is just trying to keep Brandon out of jail and if that means throwing Cooper Tire under the bus that is what they’ll do to keep their sixteen-year-old out of the big house. I’m sure many parents would lie if it meant keeping their child out of prison. It is hard to blame them for the goal they are trying to achieve, but I criticize them for the methods they are employing. Most hypermilers know that drafting is dangerous. One false move and you will crash. Is it worth it? Hypermiling: the act of taking extreme measures to save gas. Some of the more extreme measures of this practice are very dangerous, such as “drafting” behind semi trucks, driving 20mph under the speed limit on the highway, or turning the car off while going down hill. All as an attempt to save a couple miles per gallon on the tank of gas. These practices are dangerous, and for one young man in Australia hypermiling cost him his life. The teen turned the car off and took the keys out of the ignition before going through a bend. He had only had his license for a month and didn’t know that when the car is off the ignition is locked. Unable to steer, his car plowed into a semi truck, killing himself and taking off half the face of a passenger. Two other passengers were also injured in this crash. There is much more than needs to go into driver’s education than simply how to drive. How many parents think to discuss practical ways to increase fuel economy or what happens when the key is removed from the car with their teens? Hypermiling exists and teens may be influenced by the promise of astronomical high gas mileage, but at what price? Dangerous driving is dangerous driving no matter what your motive. 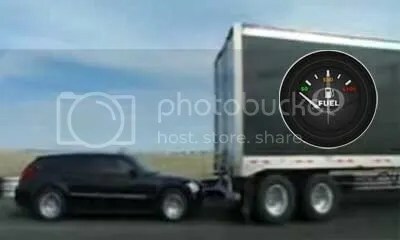 Driving too close to trucks, much slower than traffic, over inflating your tires and turning off the car while it is moving exponentially increase your chance for a crash. If no one is hurt the irony is that the cost of your insurance deductible is probably more than the amount of gas you’d save in a year. If someone is killed because of it, then no amount of fuel saved makes it worth while. Here are some tips on how to hypermile safely for the best mix of fuel economy and safe driving. Many of these tips (ie slower acceleration and getting ready to stop sooner) are safer too than getting on the gas or braking late, which reduces your ability to move out of the way or stop in an emergency. When I originally saw the news back in June about a roll over crash that took the lives of 3 (later 4) teens in Florida I was heart wrenched. When I learned that the driver responsible for the crash was 15 and unlicensed I was left asking why. This crash happened during the last day of school. Eight teens crammed into a Ford Explorer to go to the beach for a summer party. The vehicle sat seven people with the optional third row, five if it did not have this option, and only the driver was wearing his seat belt. A tire blew and the young, unlicensed and inexperienced driver didn’t have the skills necessary to maintain control. The SUV flipped killing Kimber Krebs, 15, John Kiely, 15, Dennis Stout, 17, and Erin Hurst, 15. Four other teens were left in critical condition the family of one, Rebecca Pilkinton, was polite enough to update me on her condition and to mention that she went to another school that started summer break earlier, so she was not ditching. I hope her and the other teens are doing well and are recovering both physically and emotionally from the wreck that took the lives of their friends. Today that unlicensed driver was charged with four counts of driving without a license involving death; four counts of driving without a license involving serious injury; and one count of careless driving. He faces a long prison sentence if he is convicted. I don’t even know what to say about crashes like this. They are so tragic but also so avoidable. 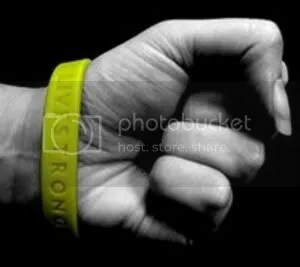 Even know I’m misting up as I write about these lives that were lost or ruined because of some bad decisions. In my original blog post I mentioned how so much went wrong, I still believe that. What if the teens had been wearing their seat belts? What if the tires were properly maintained and didn’t blow out? What if a licensed teen was driving? What if the kids had stayed in school instead of ditching? I would still like to know how the driver got the keys to the car. Was it a friend’s? Was it his family’s? Did he take it without permission or was he allowed to drive it? If one of these elements had been changed, I wonder if this crash would not have happened. Parents, have you talked to your kids about seat belt use, passengers and the people they chose to ride with? If you haven’t you need to. Texas has received low ratings on its teen driving laws in the past, but dispite this, the state has very safe drivers due in part to an extensive peer-to-peer program. Texas wants to help the chances of its young drivers even more by adding more restrictions on their driving during the first years they are on the road. Effective next week Texas teens will be required to take a driving test before receiving their license. This is the norm in most other states. Restricted license time will also increase from the first six months to a year. Under the restricted license teens cannot drive at night, talk on the cell phone or have multiple passengers. Behind the wheel requirements will also increase from 14 hours to 32. All of the new restrictions that Texas is implementing fall below the recomendations by the NHTSA and the average of most states. For example, in California the restricted license lasts for two years or until the teen is 18 and teens are required to receive 50 hours behind the wheel. Here’s the question: if Texas teens are already among the nation’s safest with the state’s poor GDL requirements, what does that say about GDL? Is Texas a case study for why these laws aren’ the most effective way to save lives? Or, do we need to err on the side of caution and do what ever is neccessary to reduce crashes?I only worry that we’ll see GDL as a cop out and won’t look at other options becuasae we feel like we are already doing all that we can to solve the problem while we aren’t. “Alex is about to collide with a motorcycle that is squarely in his blind spot…” but because his Volvo has the nifty Blind Spot Information System (BLIS because BSIS isn’t as catchy) system, he’ll be alerted to it and not kill the dumb motorcycle driver who is trying to pass him on the right when he has his turn blinker on. However, Alex wouldn’t need to rely on his fancy $700-$1,600 (cheaper on the Volvo than on a Ford believe it or not) dollar BLIS system if he just adjusted his mirrors properly. I can hear you getting mad already. But all cars have a blind spot, you are thinking. No, they don’t. In a New York Time’s interview Ford’s chief safety engineer, Steve Kozak, says that proper adjustment of the side mirrors illuminates blind spots. But adds, most drivers don’t adjust their mirrors that way so BLIS is a valuable safety aid. Steve Kozak, Ford’s chief safety engineer, acknowledged that side mirrors can be set to eliminate the blind zone. But most drivers don’t adjust their mirrors that way so BLIS is a valuable safety aid, he said. The problem starts when we are 15 1/2 and we are sitting in driver’s ed. And the instructor, who we all assume knows what he’s talking about because someone said he could teach us all how to drive, teaches us SMOG: signal, mirror, over the shoulder, go, as the proper way to change lanes. Why look over your shoulder trusty driving instructor? One may ask. Why, he says, to check your blind spot. But why is there a blind spot trusty driving instructor? Because the DMV says so. On page 12 of the handbook designed to help parents teach their teens how to drive in California it clearly says that to change lanes you need to “check your blind spot by looking over your shoulder” In the section on page 5 about preparing to drive it has one line about mirrors, and that is, “adjust the mirrors” but how? The DMV doesn’t say. The DMV doesn’t tell teens the proper way to adjust their mirrors so that they don’t have a blind spot, because the DMV in all its infinite wisdom doesn’t believe it is possible. All they’d have to do is adjust the mirrors as columnist Christopher Jensen explains in the article and see that the blind spot is gone. But that would probably mean getting a multi-million dollar grant to confirm. Gotta love bureaucracy. Drivers think that blind spots exist because they were taught they exist when they were learning how to drive. Better information from licensing organizations would solve this problem. Steve is right. There is no blind spot if the mirrors are properly adjusted. Ford (who owns Volvo in case you didn’t know) could have saved millions in research and development if instead of developing a camera that flashes a red light when ever a car is next to you instead they produced a small pamphlet on how to adjust the mirrors and distributed it to all their dealerships. The salespeople could be taught how to adjust mirrors and as they teach the buyer all the features of their new car help them adjust their mirrors. Problem solved for the cost of 2 minutes of a salesperson’s time. 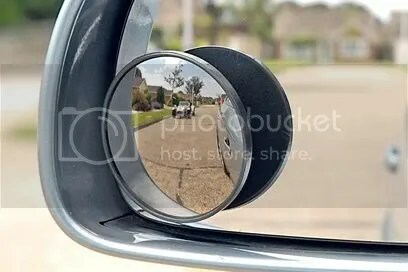 Of course, if you still don’t believe me that blind spots are myths (I would love to come adjust your mirrors and prove you wrong and highly suggest you try the method mentioned in the article for yourself) I offer you the less expensive option to solve them. The two dollar blind spot mirror. Now go take that 700 you saved on your BLIS system and send it at on a quality driving school. About a third of fatal teen crashes involved alcohol. It is a scary number and it obviously means that something needs to be done about this epidemic of drunk driving from teen drivers. Lack of understanding of their tolerances, and the feel of invincibility makes teens more susceptible to drinking and driving, even if they cannot legally drink. Just last week a local teen, Milad Moulayi, was found guilty of second degree murder when, at the age of 17, he drove his mother’s Mercedes Benz at speeds in excess of 100mph down a city street, crossed into on coming traffic and hit a light pole, killing his 16-year-old passenger. He had a bac of .11. While parents need to talk to their teens about the dangers of drinking and driving and make sure they know that you are always able to pick them up and drive them home no matter where they are or what time it is, there are other substances that need to be discussed as well. 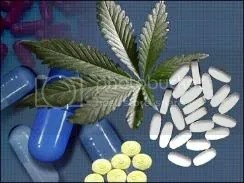 One of these substances is pot. The NHTSA found that while drunk driving is decreasing, stoned driving is on the upswing. On any given night roughly 9% of drivers are high on marijuana, compared to just over 2% who hit the bottle before getting on the road. The biggest problem with driving while stoned is that the driver often thinks that they are driving just fine and many times often think they are safer drivers than when sober, as a NHTSA focus group found. However, a recent study showed that slow reaction time makes stoned driving just as dangerous as drunk driving. Over the counter drugs are also a problem. About 4 percent of night time drivers are under the influence of prescription pills, many illegally. This problem is especially prevalent among teens, who raid their parents medicine cabinets or buy their classmate’s medication at school. It is estimated that 1 in 5 teens abuse presription paint drugs. Many of these pills carry that familiar warning: may cause drowsiness, do not drive or operate heavy machinery. The dangers don’t stop at typical drugs that we expect, there are other meneses out there that are discounted because they aren’t seen as a drug. Huffing, the act of inhaling materials such as electronic duster or spray paint for a high is a dangerous fad among teens. These products are easy to get and a lot of teens feel that they are safe because they aren’t drugs. But the effects of huffing can be very dangerous and even more so behind the wheel. The symptoms of huffing are: dizziness, strong hallucinations, delusions, belligerence, apathy, and impaired judgment. Additional symptoms exhibited by long-term inhalant abusers include weight loss, muscle weakness, disorientation, inattentiveness, lack of coordination, irritability, and depression. Withdrawal symptoms include sweating, rapid pulse, hand tremors, insomnia, nausea or vomiting, hallucinations, and, in severe cases, grand mal seizures. This is still just the tip of the iceberg when it comes to substances that can get your teen into trouble. When you talk to your teen about drinking and driving make sure to bring up other substances as well. Also, be aware of what the signs are of drug abuse and be aware of what your teen is doing. Let your new driver know that you are always there to pick them up if they aren’t in a state to drive. Getting them home safely is more important than what ever rule they broke or stupid thing they did. That comes first, punishment can come later. We’ve all heard this saying before… typically as we yell it at other drivers who don’t get on the gas when the light turns green fast enough. But does green really mean go? Sure it sounds nice with its alliteration and quick to the point wording, but it unfortunately is not accurate. While not as piffy or repeatable, green actually means look and proceed with caution. Too often do I see people who hit the gas at a green light with their eyes focused straight ahead. What if someone was running that light? They wouldn’t know until after they were hit. 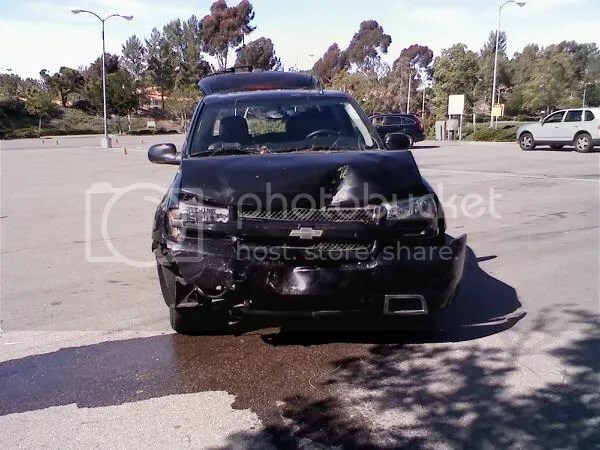 About two years ago I witnessed a red light crash where the truck in front of me ran a very red light at an intersection for a very busy freeway off ramp. She was so late in entering the intersection that she hit the third and fourth car in the line. I honked, which was the only thing that prevented another car from being involved (the driver thanked me for warning her) but the two cars involved didn’t even see her coming. They felt the intersection was safe, after all, other cars had already passed through, who could run a light that late? Actually, a lot of people do. The National Campaign to Stop Red Light Running claims that 900 people were killed in 2007 because someone ran a red light. How many of those crashes could have been avoided if instead of going when the light turned green people looked first? Of course, all of them could have been avoided if people actually paid attention, slowed down and stopped at red lights. But remember: you aren’t everyone on the road. Common sense to you isn’t common sense to everyone. When I witnessed the red light crash the woman who ran the red started to stop, but then instead got on the gas. She hit the brakes again just before hitting the cars. Maybe she was drunk or on drugs. Maybe she saw the light at the next intersection and thought she had the green. Maybe she was just a bad driver. There are a lot of bad drivers out there. Never assume that other drivers will obey the laws. If you are hit by a red light runner they are at fault… but wouldn’t you rather see them first, stop, and not be involved in the crash in the first place? Here is a compilation of red light crashes/close calls that I recently found. Some of them are comical (I did laugh when the two white Ford Explorers hit and one of them tipped over and the near miss at 3:12 is incredibly lucky) but others are frightening and very serious. You will notice just how red some of the lights are when the people run them. Crashes like these happen every day. To avoid being involved in a crash like this remember: green does not mean go, it means look and proceed with caution.